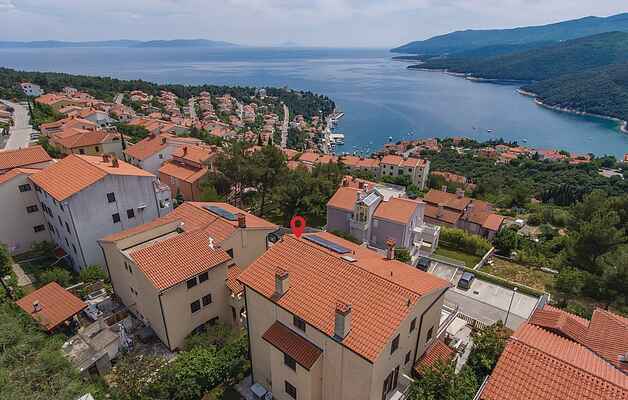 These beautiful holiday apartments are located in a family house in the resort of Rabac, which is known for its beautiful beaches with crystal clear sea, which is why it is also called "the pearl of Kvarner". Apartment CIO118 is located on the elevated ground floor while apartments CIO119 and CIO145 are on the 1st floor. At the back of the house there is also a common room, ideal for socializing. During the day you can enjoy the sports and entertainment contents on the beach and in the evening you can take a walk along the seashore and discover many souvenir shops, restaurants and bars.